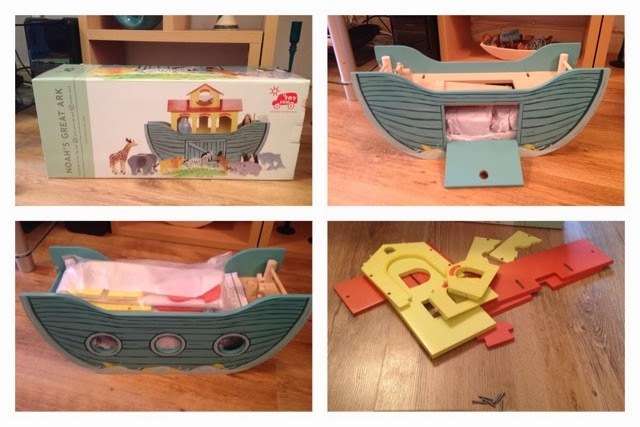 Life with Liv: Cost Cutter - Wooden Noahs Ark review. Cost Cutter - Wooden Noahs Ark review. I don't know about you but I really love wooden toys. There is just something about them that draws my attention. Countless times I have seen Liv push a button and a toy lights up, sings and pretty much plays all by itself, but what imagination does that require? 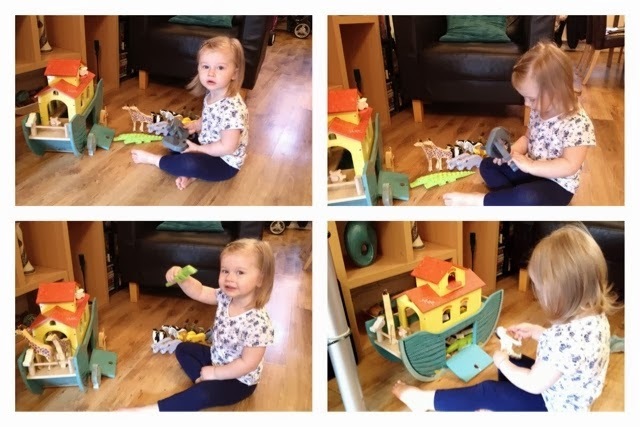 When we were offered the chance to choose a toy to review from Cost Cutters, I was really excited when I spotted this lovely wooden Noah's Ark as Liv is constantly counting at the moment and loves learning about animals. When we opened the box, the body of the ship was already made, it only required some simple assembly for the house part on the top. All of the parts were individually wrapped to prevent them being damaged, this excited Liv because she felt like she was unwrapping lots of presents. I have to say, the quality of the item is brilliant, it is sturdy and very well decorated. I can honestly say Liv has loved playing with her Ark, learning the names of the animals and singing the animals went in two by two - hurrah, hurrah! She likes to put them all in the hull, close the door and say where did the animals go?! - Very cute! 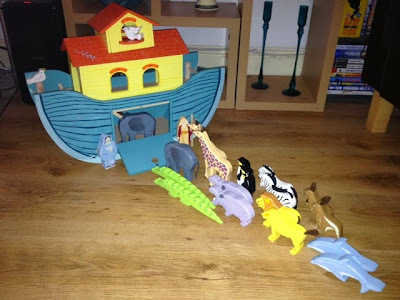 With the Ark is Noah and his Wife and 2 Doves, Giraffes, Hippos, Kangaroos, Crocodiles, Zebras, Dolphins, Penguins, Lions and Elephants. Not to mention hours of fun! I would definitely recommend this educational toy to Friends and Family, it has been such a pleasure to watch Liv play, learn and use her imagination with this and I will definitely be looking to purchase from this website in the future. Disclaimer - We were sent this toy for the purpose of the review however all opinion, photography and wording is my own.